A pilot program of easy-to-use popular magazines in digital / electronic format. 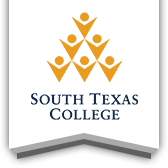 Use a computer or mobile app to read the magazine without worrying about someone already reading it – STC students, faculty and staff have unlimited access. The magazines are readable on a computer or downloaded with a mobile app. For more assistance, please view Flipster’s tutorial. Don’t have your favorite magazine? Suggest a title here!